Those who use accountability in their lives seems to attract and manifest things in this life that the average person simply doesn’t. They may have always used it, or consciously or subconsciously sought it out because of it’s power. 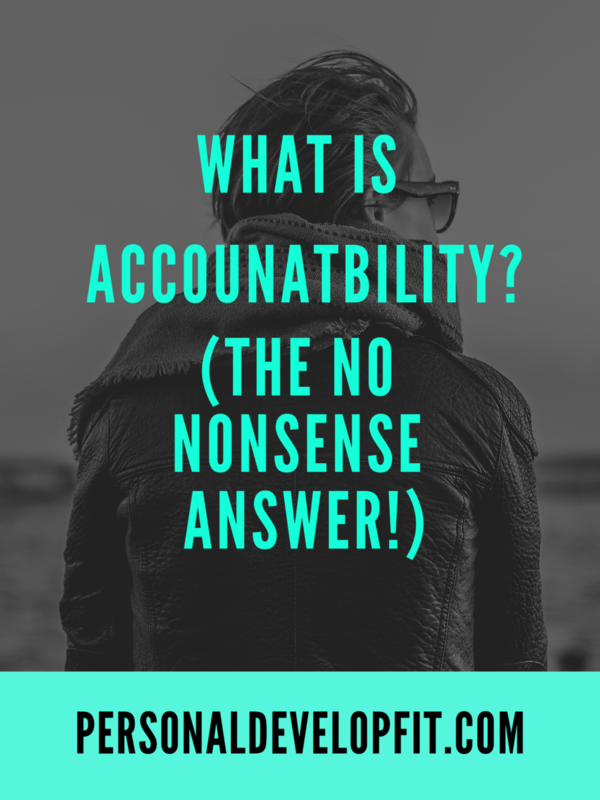 You may be wondering what is accountability and how it can help you achieve more success. Well today, my friends, I get into the explanation as well as the ways you can use accountability to achieve your aspirations. Along with some quotes, because I am a self professed quote addict! Obligation of an individual or organization to account for its activities; accept responsibility for them. 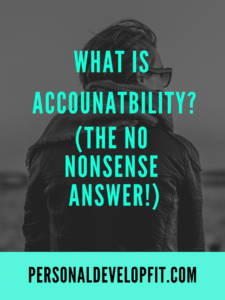 To me my own interpretation of what accountability means is that to be held to a certain standard. This can be by your friends, family or simply with yourself through your morals, standards, goals setting or having a mastermind group. It is keeping you in check and better yet on track, for getting what you want in this life. When we are held accountable for our actions, I truly believe we operate at a higher level. Because we have someone to answer to. We don’t want to fail that person almost as much if not more than we don’t want to fail ourselves. In both your personal and professional life. In a sense, it can almost make you feel obligated about the consequences of not doing something. So this sense of obligation can be a very positive driving factor in the accomplishment of what you are being held accountable to do. This can also be seen as a sense of duty that you have to embark on in. When we have a great sense of duty that we ultimately fulfill, our lives can drastically change forever. So to more or less sum up what accountability is, in a big sense, taking accountability is being a in leadership role. Whether you are leading yourself or leading others. The blame or the fame, so to say, falls up You. At the end of the day, the one who is assuming accountability is the running back who has the football. They will be celebrated massively if they score, but if they fumble the ball, it is entirely their fault and they have to reap the repercussions. The repercussions can be us being deeply dissatisfied with ourselves for not reaching our goal (internal) or it can be that we don’t make or mortgage one time and lose our house (external). Both internal and external rewards or repercussions are always involved for the one who is being held accountable. If we obtain our goal we are celebrated and feel a sense of pride, if we lose then we feel demoralized and have to pay the price of not achieving our goal. This can relate to marriages, for example. A great article called mutual accountability in the context of love gives a great example of what relationship accountability consists of. If a husband crosses the lines in a relationship through the likes unintentionally disrespecting their wife through not texting her that he will be home from work late when he knows his wife prepared a nice dinner from them, the wife needs to communicate that fact and the husband needs to work on never doing that act again. And vice versa. The husband is held accountable for his actions by working on never doing that again. Also, as we will talk about later, accountability is taken not received. This means that the husband needs to take accountability himself in order to right his wrongs. When it comes to being accountable in the workplace, an example of this can be related to a project manner who is being held accountable for the teams actions. If the team doesn’t perform as a whole and meet the project deadline, the consequences fall on the project manager. This can be true for the Captain of a baseball team. They take on the leadership role of being accountable for the team, winning or losing. If they win, the captain is celebrated for how far he has taken his team. He is given a raise and possible an MVP trophy. If his team comes in dead last, then he may not have a job the next year, on that team at least. The fact of the matter is that when you set goals, you are far more likely to accomplish them if you have someone keeping you accountable for doing so. The person we commit your goals to is the accountability partner. But we are the one being held accountable by our accountability partners for the accomplishment or lack thereof of our goals. At the end of the day, accountability is something we assume, but like anything else in life, we can’t do things alone. Although a lot more responsibility lies in the hands of the one who is accountable. Most of the time, through the likes of coaching or mastermind groups, we can use accountability to take bigger action. To be inspired to do so as well as have reprocussions for not doing so. Which, fortunately and unfortunately we are driven in this life to avoid consequences, not seek pleasure. We are driven by our fears, for good or for bad. A person who really maximizes the potential of accountability is clear on the consequences and uses them to push them to succeeding. Accountability, as we can see is crucial in the attainment of our goals as well as keeping us on top of creating healthy relationships. John is taking accountability for the financial teams actions. Alcoholics Anonymous is a group where Erin would have some accountability for her actions involved with staying sober. Eric made way better choices in his life after Sue brought him accountability through their friendship. The lack of accountability in the financial division resulted in people not taking their job serious. A great article on the subject talks about how you responsibility can be delegated to people all day long, but the delegator must assume accountability for those actions. Which in my own words, responsibility comes from more of an external driving force or forces. Where as accountability comes from internal driving forces. Think about what motivated you in the first place to find accountability. Are you seeking an accountability partner because you have been working too much and neglecting your family? Find someone trustworthy. Someone who can bring your relationship confidentiality. Seek out someone who will challenge you but not condemn you. They will challenge you to live you life with integrity. They will take their role as you accountability partner very seriously. Figure out how much you guys need to meet or talk that will enable both of you to achieve your goals. If you need to adjust how much you are seeing each other, than do so. Communicate how your partner can challenge you. Be brutally and unappologeticaly honest. Also, you want to make sure that you two are very similar in many ways so you can see eye to eye. But enough difference to where you both can bring different perspectives to each other to help each other grow. The best way to find a great accountability partner is to be one to the person that you are working with. Give one hundred percent to helping your partner accomplish their goals and demand the same from your partner. Whatever type of mindset you are in, find someone who is similar. For one is fed up as hell with being 20lbs overweight, and they are sick and tired of being sick and tired, then find someone who is in the same mindset with one of their goals. “When accountability is inconsistent in application, it becomes nothing more than thinly-veiled blame-game.